The RHEINTACHO FE rotational speed sensor provides you with today&apos;s most frequently used signal forms: 1-channel, 2-channel and PWM signal output. Three different electronic versions, each in installation-compatible, highly compact housings. The RHEINTACHO FE range offers three (3) different electronic versions (1-channel, 2-channel, PWM), two (2) different immersion depths (18.4 mm and 32 mm) and a variety of different cable lengths and types of plugs (on the cable). All sensors in this range are built to protection classes IP6K9K and IP67. The 1-channel version is the ideal choice if the needs are limited to the measurement of rotational speed. Carefully selected components guarantee highly tolerant contact behaviour with respect to all types of target geometries and air gaps. The output signal here is a square wave, the amplitude of which is independent of the rotational speed. In this way, stable signals are achieved even with slow rotational speeds. With its two phase-shifted square wave signals, the 2-channel solution offers the same advantages as mentioned above. However, with its two offset signals, you have the additional possibility of identifying the direction of rotation. In contrast to the two variants described above (voltage signal), the 2-channel construction with pulse-width modulated signal (PWM) works using a current signal, with information regarding the rotational direction transmitted via the varying length of the pulses. In this way, this sensor also produces a signal with constant amplitude, independent of the rotational speed. 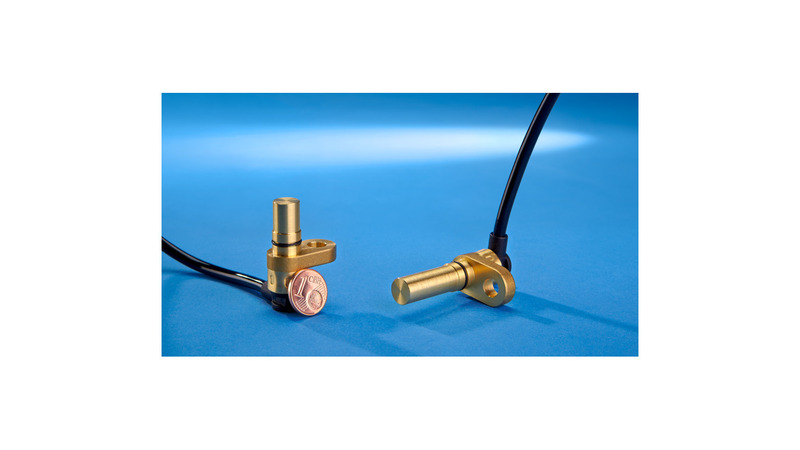 This sensor boasts not only the ability to identify the rotational direction; it can also carry out other diagnostic functions such as the identification of idle status, a critical air gap and critical installation position.